Dorothy. 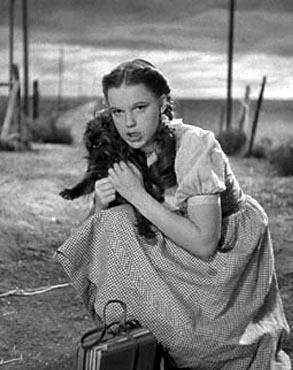 Judy Garland as Dorothy in the Wizard of Oz. Wallpaper and background images in the オズの魔法使 club tagged: judy garland dorothy the wizard of oz classic film image. This オズの魔法使 photo might contain 公園のベンチ, 通り, 都市現場, 都市環境, ストリート, 都市, 都市設定, and 都市のシーン設定.